Laura Virginia Jackson Robinson, 95, passed away peacefully April 1, 2019 at Fair Haven Nursing Home in Forest City, NC. She was born to John L Jackson and Mattie Lee Hunter Jackson in Surry County, Westfield NC. She was preceded in death by her husband Gudger Roy Robinson: her parents: and two sisters, Frances Jackson Hamrick and Mildred Jackson Redman. Those left to cherish her memory: sister, Juanita Jackson Hicks of Winston Salem, and several nieces and nephews. Laura resided in Winston Salem most of her adult life. After retiring from Western Electric Corp she pursued her love of antique jewelry by selling at flea markets 2233 and antique stores. Late in life she moved to Forest City to be near her sister, Frances, and her nieces and nephew. She resided there until her passing. 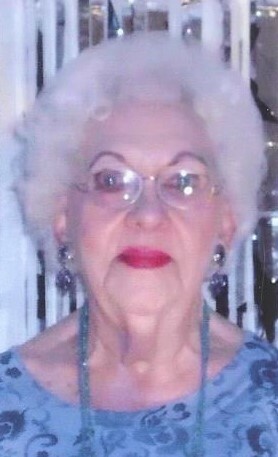 In Winston Salem she was an active member of Saints Delight Church in Winston Salem. She loved her church family and was so blessed by their many visits and cards over the years. A gift in memory of Laura should be made to: Westfield Friends Meeting, Cemetery Fund, PO Box 103, Westfield NC 27053. Cox-Needham Funeral Home of Pilot Mountain (http://www.coxneedham.com, www.facebook.com/coxneedham) is respectfully serving the Robinson family.